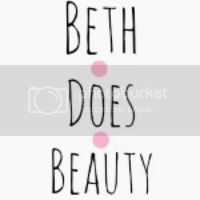 Hayya Lovely's, Todays post is my first ever Wishlist post. There are so many items from MAC that I have been really eyeing up lately, I will be getting a lot of these items when my spending ban is over and I will hopfully get a few of them for Christmas. Also it's all good as I am now part of the MAC pro student program. 1. MAC Chatterbox Lipstick- I saw this lipstick on Florals and Freckles Blog and fell in love. 3.Benefit Coralista blush- Such a beautiful blush perfect for every day need it in my life. 6. MAC eyeshadow Beautiful Iris- This eyeshadow has been on my list for about a year and a half, so I know I want to get it. Do you like these wishlist posts? What's on your wishlist this month? I love the purple Mac. I can't imagine it being very wearable though?! 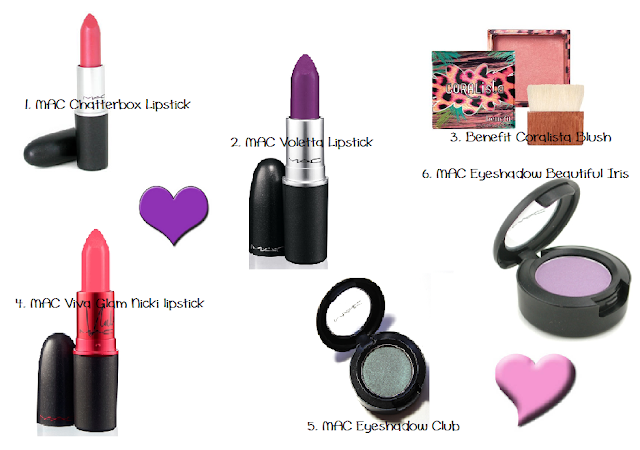 I'm dying for that purple lippy but feel i probs wouldnt wear it when i got it! hope you get the benefit blush soon, its one of my favorites!